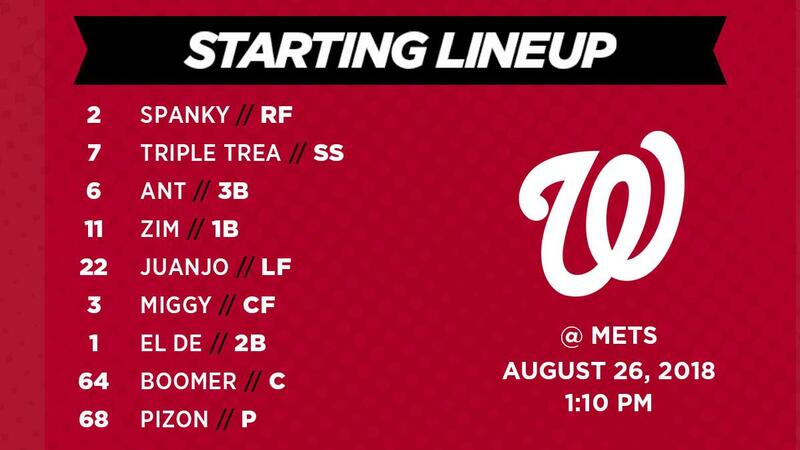 Here’s the Washington Nationals lineup for this afternoon’s series opener at Wrigley Field. 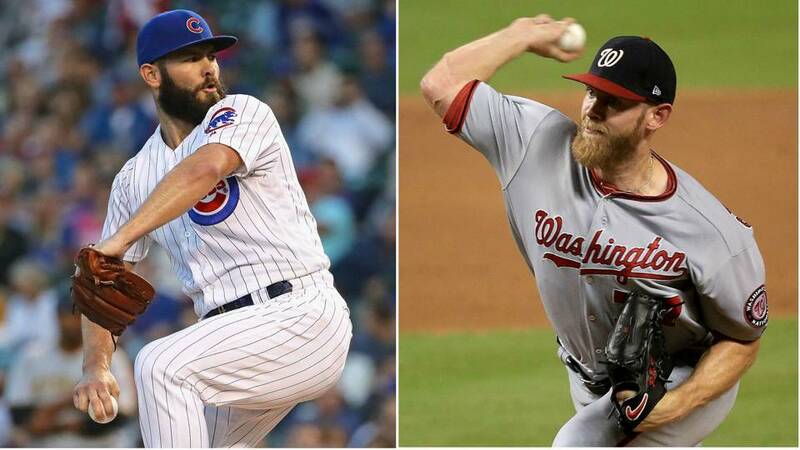 After splitting the four-game series with the Atlanta Braves, things do not get easier for the Nats as they face the first place Chicago Cubs. 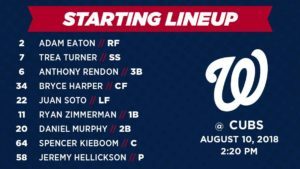 Jeremy Hellickson will take the mound, and Bryce Harper returns to the lineup from a HBP two nights ago. Full-time novelist and blogger, Chloe Stowe loves to spin a tale almost as much as she loves her Nats and Navy sports (on Twitter, she's the #NavyMaven and #curlyWchick). This season will be her first as the Director of Nationals Coverage for the Maryland Sports Blog.